This module defines professional groups or bodies, describes their role and activities, explains the benefits of engaging with such groups and suggests some tasks for you to follow up. 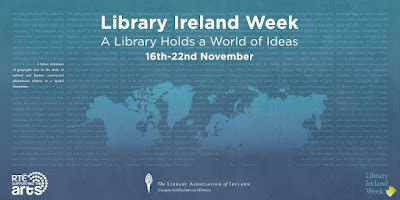 Wikipedia lists 27 professional groups in Ireland, including the Library Association of Ireland (LAI), but the actual number is much greater and covers a wide range of different occupations. The situation in other countries is similar. Groups for library and information professionals are many and varied, based upon geographic areas and/or sectors, such as academic, public, special. Links to some of the groups are listed below in the Web Resources section. They champion the functions and value of practitioners to the public; raise the profile of the profession generally; represent the profession on Government Committees, international bodies and elsewhere; maintain contacts with the media, run campaigns, lobby, advise and influence. They set standards, codes of conduct and ethics; determine skill levels and competencies; accredit courses offered by education providers; agree reciprocal recognition with peer professional bodies in other countries. They provide conferences, courses, workshops, webinars, podcasts and mentoring schemes centrally and through Groups and Sections; give awards that recognise different stages of professional practice and CPD activity; publish journals and newsletters; post to social media. They provide forums to exchange ideas, experience and best practice; occasions to learn about different sectors of the profession, new products and developments, possible job vacancies; offer opportunities to make contacts, seek advice and to socialise. As with most commitments, the question of What’s In It For Me (WIIFM) is important, of course. 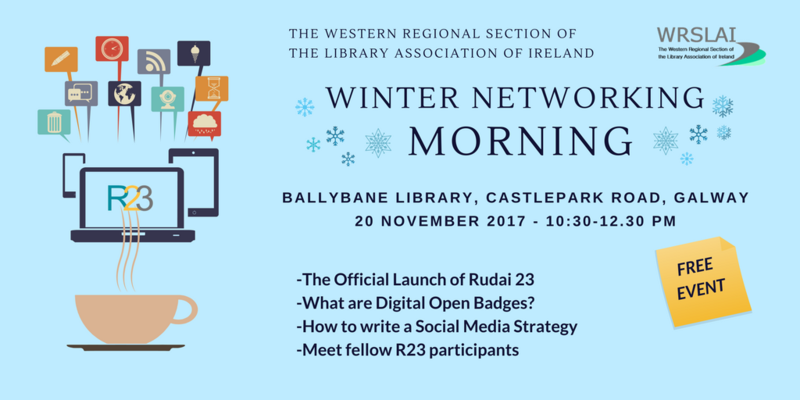 This module is part of Rudaí 23, Open Badge # 4: Engaged Professional. There is no better way to engage with your profession and to make a difference than to participate in activities with a professional group or association. Indeed, it gets to the very heart of being a professional. At its most basic, how can we expect others to value our own profession if we do not do so ourselves? Furthermore, these are critical times for the library and information profession and - more than ever - it requires a strong voice. There is strength in numbers and the more active members then the more powerful the profession can be. Such engagement, therefore, not only brings personal benefits but it also benefits others. It is an excellent way to give back to the wider community. The LAI provides access to information and support to help develop your career. Once again we are providing you with many options for your task for this module. They are all great tasks and will really get you thinking and investigating activities and areas of both your local organisations and international groups. You may choose just one task, or do a few, or do them all, it's up to you. Best of luck, you only need complete one of the tasks for Thing 21 for contribution towards your badge. 1. Learn more about the roles, activities and benefits of individual professional bodies by searching some of the links listed in this module. Write a paragraph in your blog on what you learned and how you can apply it to your situation. 2. Subscribe to a social media account of a professional body of your choice. You could follow them on one or all of their accounts: Twitter, Facebook, Linkedin, Instagram, Snapchat, website, blog, Youtube channel, Google + etc. Did you learn anything new about that organisation after joining? Was it useful? Reach out to that organisation on social media, for example you could send them a Tweet. Did they recognise your tweet with a 'like' or respond to you in any way, if not, perhaps you could try one of their other social media channels. 3. Investigate any upcoming conferences that you would like to attend, organised by a professional library group. Create a wish list of these events and see if you can get funding to go to one. Try speaking with your manager about it, also investigate if there is a bursary option to attend, what do you have to do to apply for that? If you present at the conference is there a discount or free option available? Will your manager look more favourably on funding you if you plan on presenting, or can you justify your budget spend to finance if you are presenting? 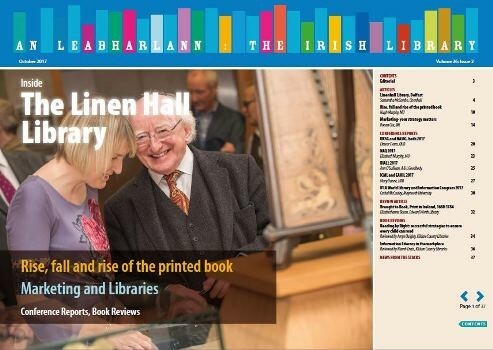 If your library has an institutional subscription to the organisation, you may be able to attend for free. Are there any free courses available, your library may not have the funds for conference fees, but may allow you to go during work hours? WRSLAI and other groups of the LAI often hold networking events and workshops with no fees charged. 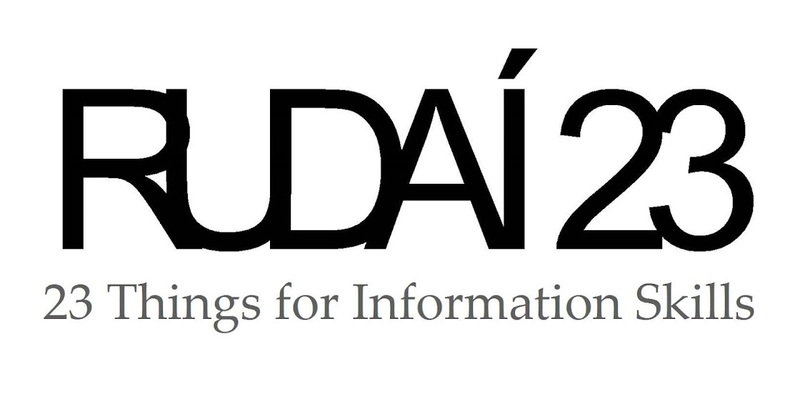 Are there other online courses like Rudaí 23 that are certified and will help your CPD? If funding and time to attend are unavailable, check if any part of the conference is live streamed? Will the professional group put the recorded sessions online afterwards? Remember, even if you missed a conference, very often the slides at the least will be uploaded to their website, perhaps even a full recording of the talk as WRSLAI, Conul or A&SL have often done . Write a reflective blog post on this process and your experiences of it. 4. Are you a member of a professional organisation? If so, write a reflective blog post on your experience with this organisation and the impact it may have on your CPD. For example, has it provided you with the opportunity to be involved in any committees? At what level is your involvement? Have you gained any project/time/event management skills? Have you attended/presented at conferences through this organisation? Has it increased your library network and knowledge base? Are you happy with the organisation? Would you like to be more involved - can you investigate this possibility i.e. 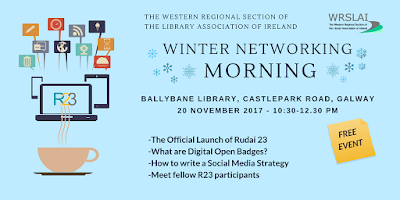 join a local committee, apply for your Associateship (your Rudaí 23 work load and digital badges will prove excellent evidence of your CPD activities if you apply for your LAI Associateship). If you are not a member, what has held you back, is it awareness, funding or a time issue? 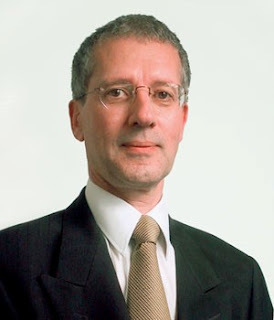 Dr Philip Cohen has been Head of Library Services at Dublin Institute of Technology since 2004. Before that, he worked for more than 20 years in various University libraries in the UK. 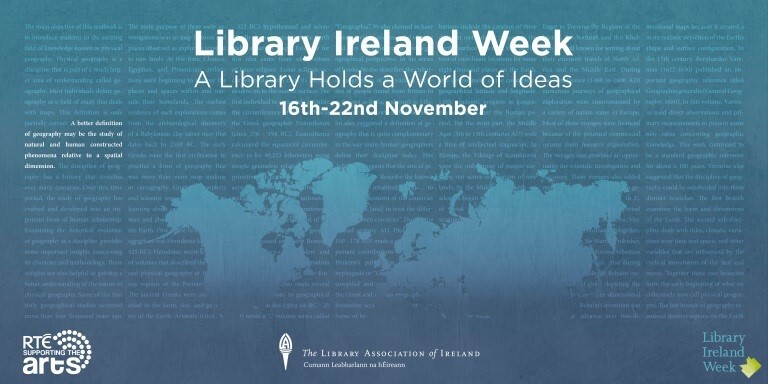 Philip is a Past President of the Library Association of Ireland, Convenor of the Education Committee: CPD and a member of the Education Committee: Professional Standards. He is particularly interested in the role of libraries and librarians in the education process, as well as the education of librarians themselves.